Every road trip is an opportunity for me to continue my search for the best burgers in the Lone Star State. That means I stop and eat at a lot of burger joints. And just about the time I think that I can’t possibly find a better burger, it happens. I find a better burger! 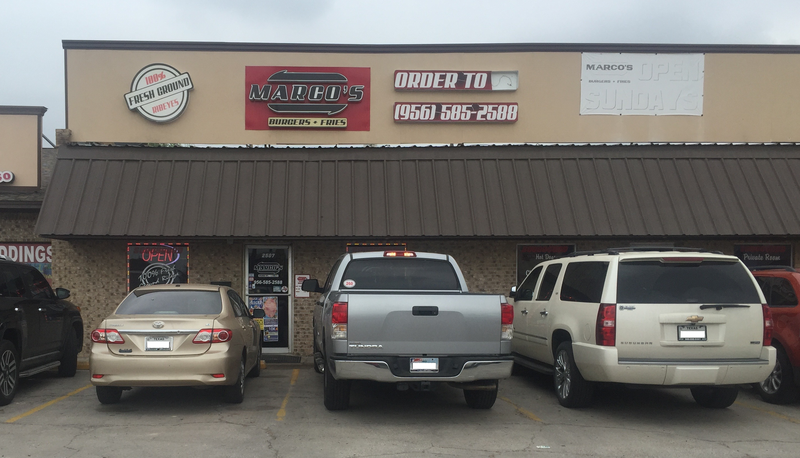 On a recent road trip to the Rio Grande Valley, I visited Marco’s Burgers and Fries in my hometown of Mission. This turned out to be one of the best decisions I have made on my burger quest. Lots of places serve varieties of burgers distinguished by creative combinations of this or that added to a burger. 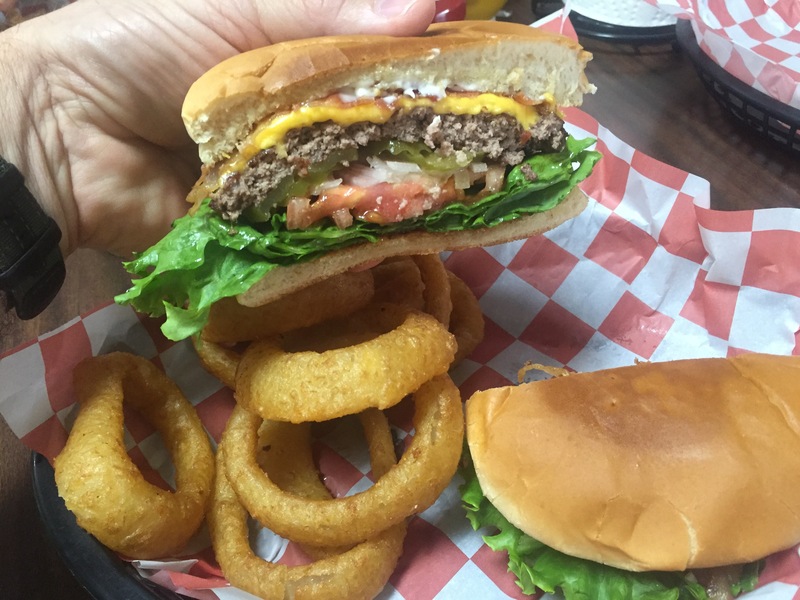 Marco’s Burgers, however, takes the burger experience beyond the ordinary. 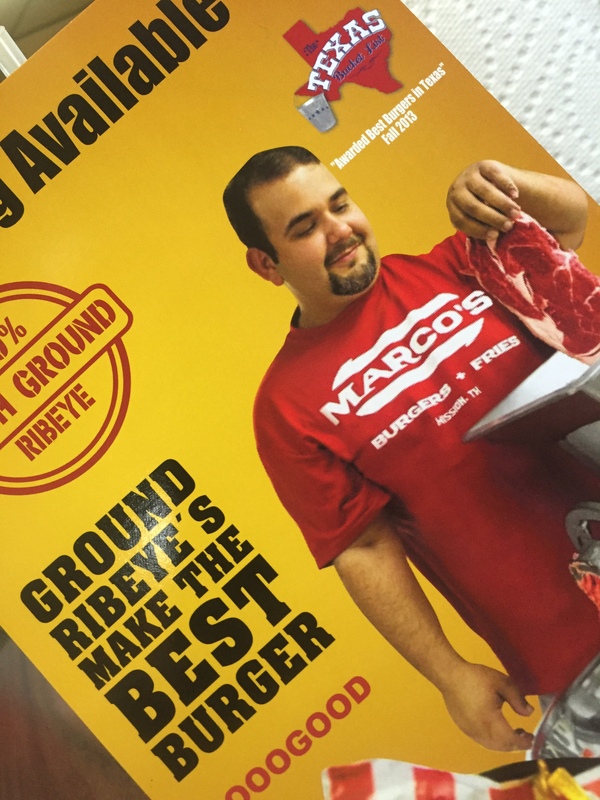 Marco Suarez, the owner of Marco’s Burgers, has done more than just add stuff to the basic buns and meat that make up a burger. Marco went to the heart of the matter — the meat! He figured that if you want to make a better burger you have to get the meat right. So, Marco decided to take ribeye and grind it daily. He offers his customers mouth-watering burger patties made of 100% fresh ground ribeye with nothing added to the meat. 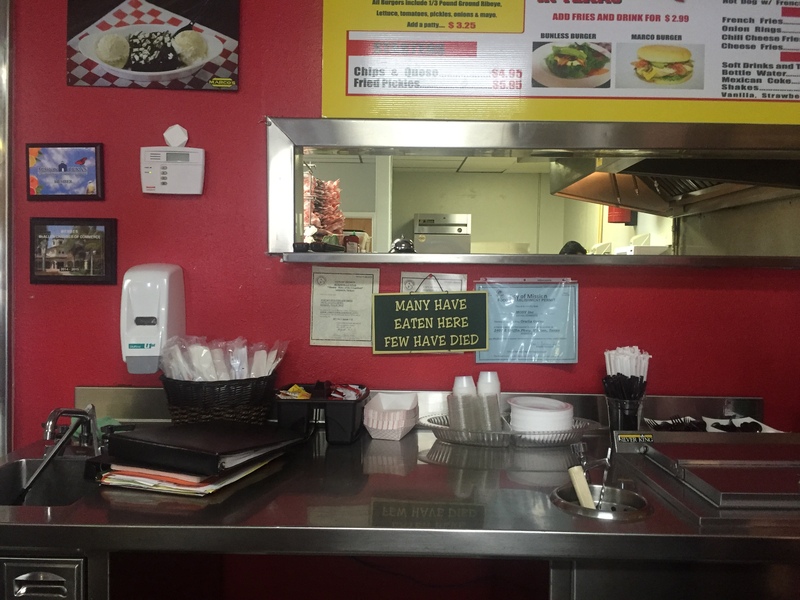 When I arrived at Marco’s Burgers located at 2507 East Griffin Parkway between Mission and McAllen, the first thing I noticed was how clean the place was. The young lady behind the counter offered a welcoming greeting and took the time to explain the various options on the menu. I am partial to bacon cheeseburgers so that is what I ordered, along with a side of onion rings and sweet tea. My first bite confirmed what I had hoped — that this was going to be one delicious burger. And, indeed it was. Adding bacon and cheese or anything else to a burger is ok. But the ground ribeye meat made everything about this burger stand out. The meat was lean, moist, full of flavor, and cooked to perfection. This burger puts to shame any burger made with a hockey puck patty pulled out of the freezer and tossed on a grill. 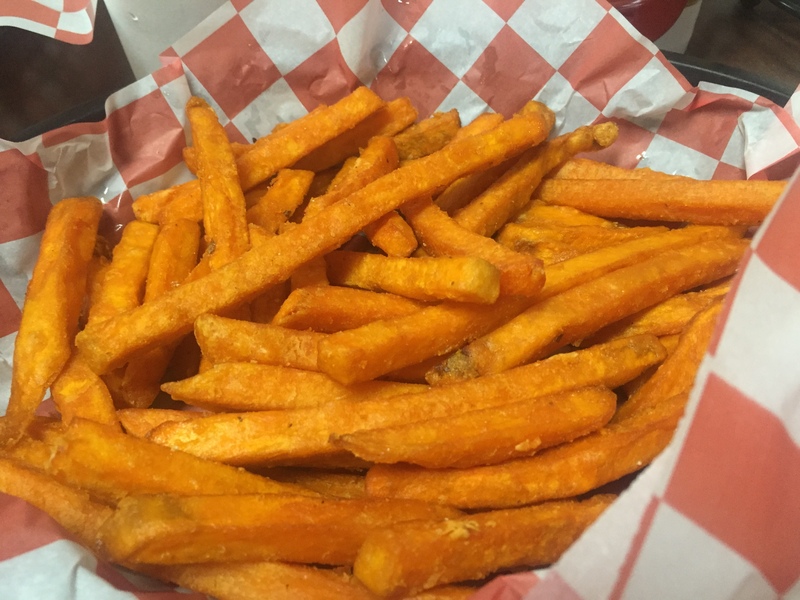 In addition to onion rings, I sampled the sweet potato fries and regular cut fries. Both were delicious but I believe that I will order sweet potato fries on my next visit. These were really tasty. And, I have already made up my mind to go beyond my normal bacon cheeseburger on my next visit. Marco’s offers several tempting combinations of their ground ribeye burgers. I visited another highly-rated burger joint in the Valley on this road trip. But, I have to say that I found that experience somewhat disappointing and have placed that burger on my list of places I will not blog about. Thankfully, Marco’s Burgers and Fries redeemed this road trip in regard to my search for a memorable burger experience. 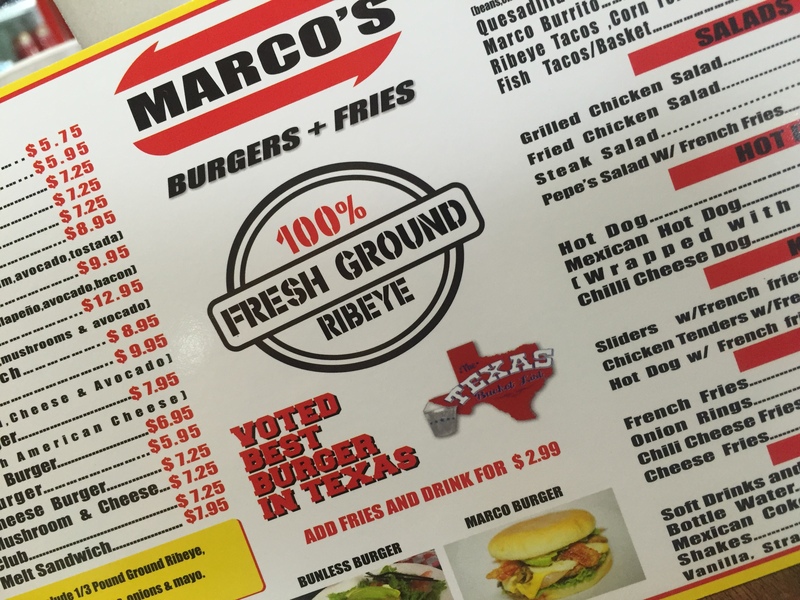 It’s no wonder that Marco’s Burgers was awarded Best Burgers in Texas on the Fall 2013 season of The Texas Bucket List. 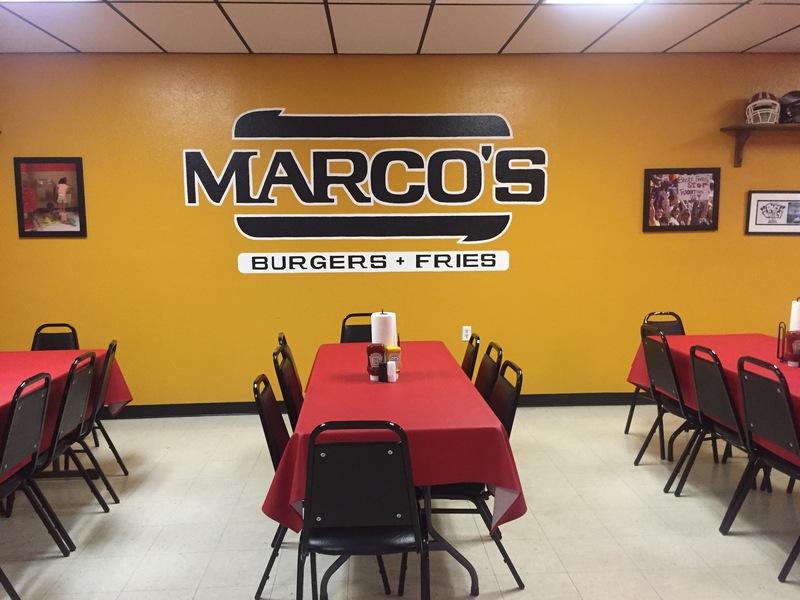 If you happen to live in South Texas or just wander in that direction, I hope you will take the time to visit Marco’s Burgers and Fries. I am confident that you will come away more than satisfied by this burger that gets it right in every category. Thank you Marco and staff for a delicious and memorable dining experience. I hope to return again the next time I am in the neighborhood. This entry was posted in Places To Eat and tagged Burger Joints, Hamburgers, Marco's Burgers and Fries. Bookmark the permalink.